Last week, a self-driving vehicle operated by Uber struck and killed a pedestrian in Arizona. Uber’s car, which was utilizing an autonomous mode, similar to Tesla’s autopilot feature, struck and killed the pedestrian, Elaine Herzberg, around 10 p.m. At the time of the incident, there was a driver at the wheel, but the Uber car did not have any passengers. Even though the car was a self-driving car, a driver was at the wheel to take over in case the car’s autonomous system failed. 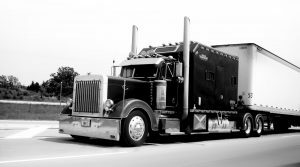 Why are Injuries from Semi-Truck Accidents on the Rise? Last night, a Chicago Transit Authority (CTA) bus struck and killed a pedestrian in the West Chatham neighborhood in Chicago. The pedestrian was walking in the crosswalk in the first block of West 79th Street at around 7:30 p.m., when she was struck by the CTA bus. The pedestrian was pronounced dead at the scene. The CTA bus driver was later cited for failure to yield to a pedestrian in a crosswalk. A similar accident occurred last month, when another CTA bus struck a pedestrian in the Old Town neighborhood in Chicago. According to the Chicago Police Department, the pedestrian was walking in the crosswalk in the 100 block of West Division at around 4:30 a.m., when she was struck by the CTA bus. The pedestrian was taken to the emergency room and was treated for swelling and contusions. Last summer, a CTA bus struck a mother and her three children as they were crossing the street in the Lakeview neighborhood. According to police, the mother and her children were crossing at the intersection of Halsted Street and Waveland Avenue around 10:15 a.m., when the CTA bus struck them. A witness to the collision told reporters that the infant being held by the mother flew out of the mother’s hands and violently struck the concrete. The children were taken to the emergency room at Lurie Children’s Hospital and the CTA bus driver was taken to the emergency room at Advocate Illinois Masonic Medical Center. The driver was later given a citation for failure to yield to pedestrians. Is Tesla’s Autopilot Feature Safe for Drivers? Last week, a Tesla Model S smashed into the back of a firetruck at a high rate of speed on a highway near Culver City, California. The firetruck was stopped for an accident on the highway. The driver of the Tesla reported that he had been using Tesla’s autopilot driver assistance system at the time of the crash and the autopilot system did not apply the vehicle’s brakes. Luckily, no one was injured as a result of the crash. The National Highway Transportation Safety Administration is currently investigating the crash. Could Police Begin Spying on Drivers Suspected of Texting Here in Naperville and Surrounding DuPage County? As a car accident lawyer, I am always looking at what makes us less safe on the road. At the top of this list is distracted driving. In Illinois, drivers are generally allowed to use cell phones, but are prohibited from using cell phones, hand held or otherwise, when driving in a school zone or when driving in a highway construction zone. Recently, Illinois tightened these restrictions and prohibited all hand held cell phone use while driving. Texting – the most dangerous form of distracted driving – has long been prohibited in Illinois. Exceptions to the prohibition from texting while driving are quite limited: reporting an emergency situation and continued communication with emergency personnel during the emergency situation; using a device in hands-free or voice-activated mode; if the driver is parked on the shoulder of a roadway; or when the vehicle is stopped due to normal traffic being obstructed and the driver has the motor vehicle transmission in neutral or park. Absent an exception, texting is prohibited.